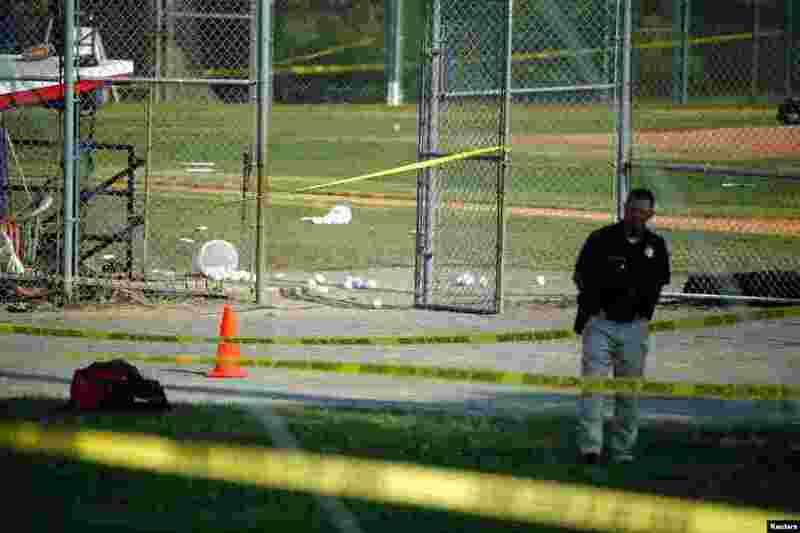 5 Police investigate a shooting scene after a gunman opened fire on Republican members of Congress during a baseball practice near Washington in Alexandria, Virginia, 14, 2017. 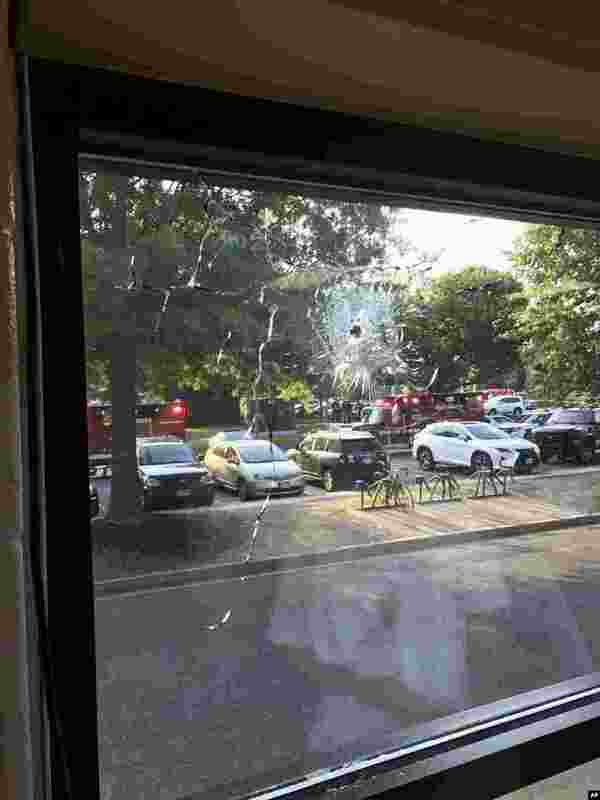 6 Emergency personnel are seen through a window with a bullet hole in Alexandria, June 14, 2017. 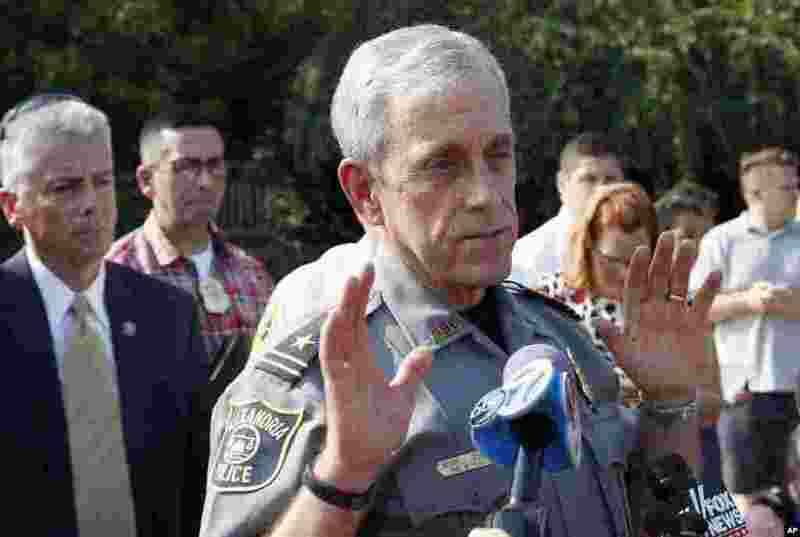 7 Alexandria, Va. Police Chief Michael Brown speaks about the shooting, June 14, 2017. 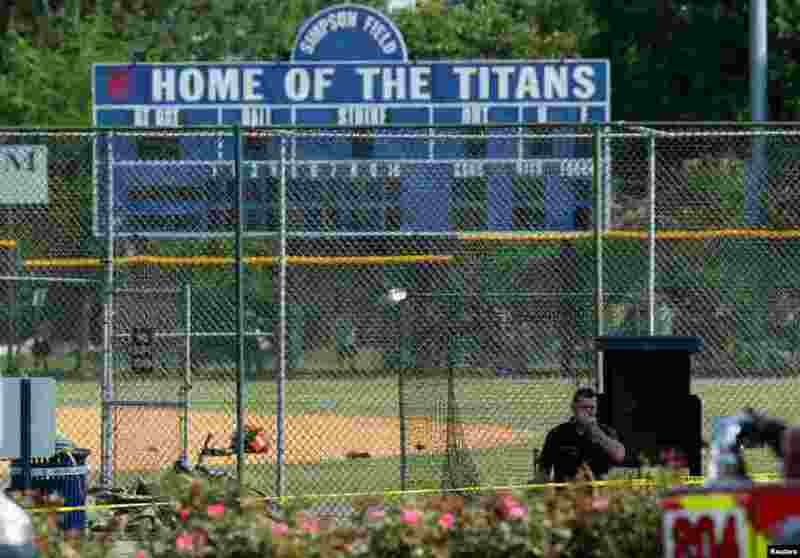 8 A police officer mans a shooting scene after a gunman opened fire on Republican members of Congress during a baseball practice near Washington in Alexandria, Virginia, June 14, 2017.